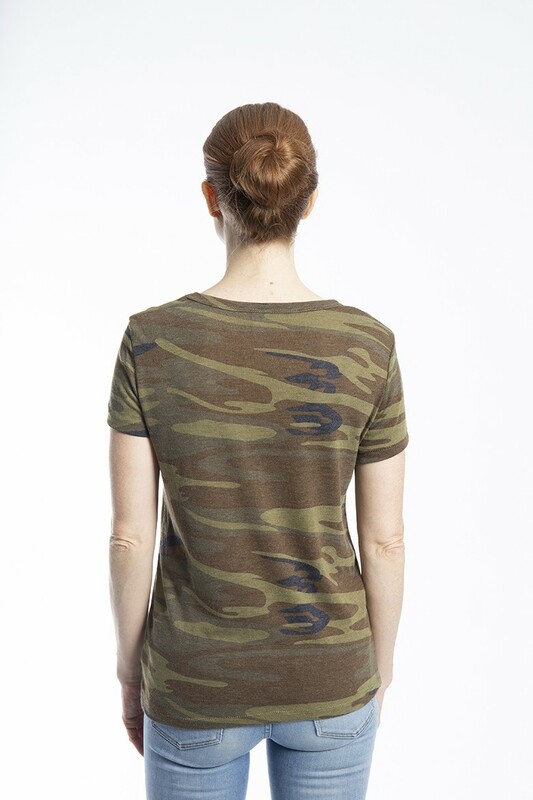 This flattering, fashionable camouflage shirt won’t hide your Star Power! Shine on in the lightweight crewneck staple by Alternative Apparel. It’s a GOTR favorite! Feminine fit. The model is 5’ 7” and is wearing a size medium.